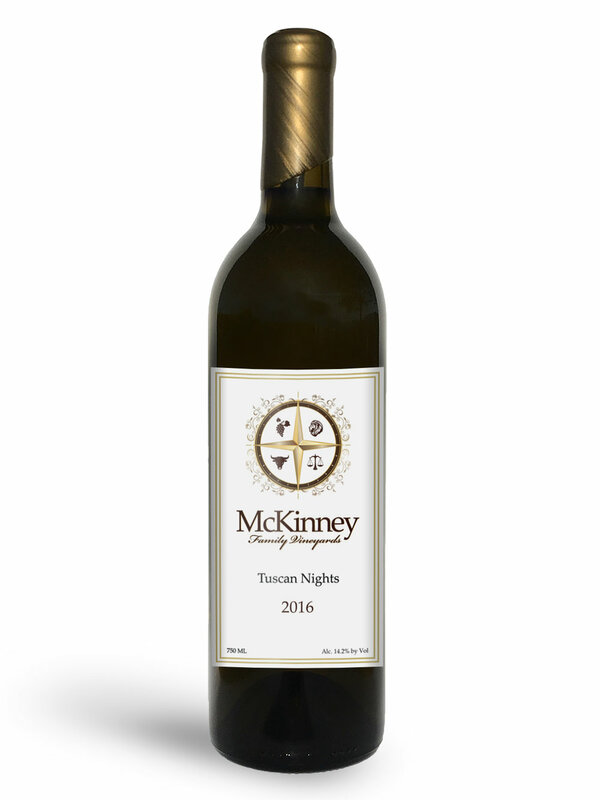 McKinney Family Wines Are Sold Through Wine Club Only. In the highest pursuit of quality over quantity the only way to maintain this standard is by having a tight knit group of supporters that we make our wines for. Our Wine Club, is an extension of our family and friends and the integral backbone of our business. Our goal is to always make wines which exceed the conventional standards and keep our club members excited for each new shipment of hand crafted limited production wines. In Greek mythology, the Sirens were dangerous and seductive creatures which lured sailors to shipwreck, mesmerized by their beautiful and enchanting song. Most notably, the Siren is most famous for their part in Homer's The Odyssey, where Odysseus has his men tie him to the ship and plug their ears, so he can listen to the Siren's legendary song. This luscious blend captures the exotic natures of it's Rhone and Spanish white grape varietals and, much like the Siren, is undeniably alluring. Aromas & flavors of lychee, lemon zest, pineapple, papaya, melon and coconut. The light at the end of the Dark Ages was marked by the rule of King Charlemagne, the first Holy Roman Emperor. In 775 AD, the world famous vineyard of Corton-Charlemagne was planted in Burgundy to only Chardonnay by the king’s orders. Many nobles questioned the king’s logic as to why he turned his back on the renowned red varietal of Pinot Noir. As legend has it, Queen Charlemagne did not approve of the way red wine stained her husband’s white beard. This luscious Chardonnay, from one of the crown vineyards of Santa Rita Hills, was made as a tribute to the Queen, the great woman beside every great man, and crafted in an old world style as the Queen would have approved. The grapes used in the creation of this wine were sourced from John Sebastiano Vineyard located on the eastern side of the Santa Rita Hills AVA in Santa Barbara County. Soils consist of clay-loam and limestone adding distinct minerality and depth. Our Chardonnay is planted on steep slopes which face the west and in the direct path of ocean breezes which limit yields and concentrate heavenly rich flavors. One of Happy Canyon’s most picturesque vineyards is the home of this Sauvignon Blanc. Vogelzang Vineyard is situated on a gently sloping bed of well drained, gravelly loam soil with metamorphic rock called serpentinite making it an acclaimed mineral driven vineyard source. Intense aromas of pineapple, mango, stone fruits, and lychee notes which accompany white floral aromas with vanilla and creme brûlée flavors from the 33% new french oak. All barrel fermented and all barrel aged which makes this a Sauv Blanc with depth and a creamy mouthfeel to go along with the bright acid this varietal calls it’s signature. Sangius Jovis, or "Blood of Jupiter" is the literal name for Sangiovese in Italian. "Jove" being short for Jupiter, or Jovis in Latin, is the name of the Roman God of Sky and Thunder, and King of all Gods in ancient Roman religion and mythology. Jovis is also the father of Bacchus, the God of Wine, further illustrating the significance of this Vitis Vinifera grapevine in Roman culture. Sangiovese originates from Tuscany, Italy and has now found a new home with a similar microclimate in the Santa Ynez Valley of California. In perfect vintages, the Blood of Jove runs through our veins and this 2015 Sangiovese is no exception. This wine is made to take like an authentic Chianti from Italy. It carries a lean yet complex profile and has the soft yet noticeable tannins you expect from traditional Sangiovese. If you have a more experienced pallet with Italian wines you will love to see a California version of this wine taste so “Old World”. We are proud to release our first ever Port Wine. “Forte” is short for Fortified Wine, and is a reference to our Great Grandfather who was a moonshiner in Kentucky around the turn of the century. This is a very smooth elegant and delicious version of a port which we believe will convert some non believers to the Port Side. 19.1% Alcohol, this is a very balanced port that is neither too sweet nor too high of alcohol. 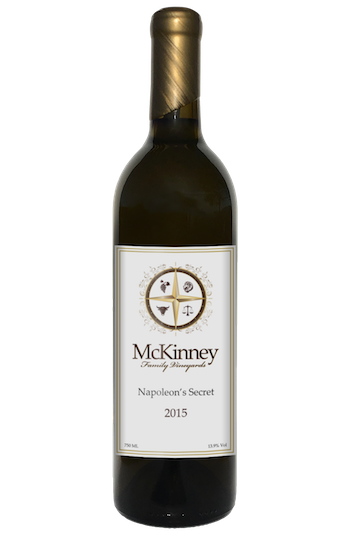 Fortified with 115 Proof two year barrel aged Brandy and aged in french oak for an additional two years this wine boasts beautiful caramel and vanilla clove with raspberry and black cherry notes. This is the second time we have released Napoleon’s Secret. It's debut was the 2012 vintage and it was surely a flagship bestseller for us. This year is no different and honestly an improvement from the last Napoleon Bordeaux Blend. This is a wine made to be comparable to the great Cab blends of Bordeaux France and with the addition of Syrah from our property it adds much depth and complexity. From this outstanding low yielding vintage emerges a smooth, generous palate with very fine dusty tannins and natural acidity expressing exemplary balance. 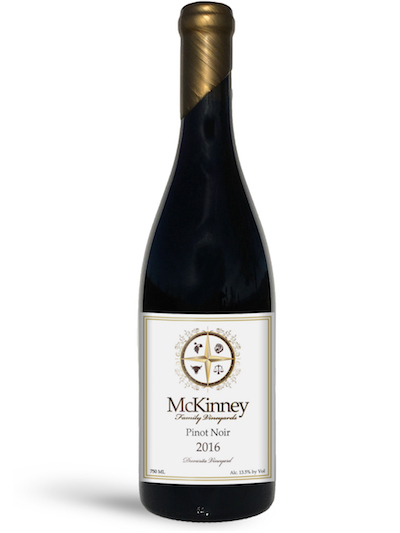 As smooth and voluptuous as its 2012 predecessor, the flavors and fragrance of this vintage leans toward black and blue fruits and seasoned wood. Blueberries, plums, and black currants provide juicy, mouth-filling flavors while distinct notes of oak, graphite, cigar box, and earthy spices create aromatic accents that are bound to evolve and become even more intense with bottle age. This is a cellar wine that will continue to age beautifully for 15-20 years. From the fashionable Presqu'ile Vineyard of Santa Maria Valley. 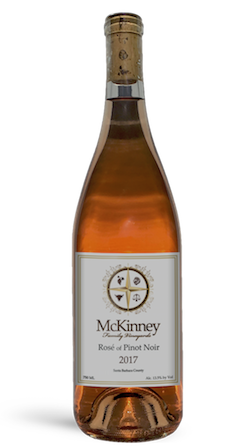 The Pinot Noir grapes used to make this rosé were farmed to make regular Pinot Noir, therefore we paid a premium to make the highest quality Rosé possible. All barrel fermented in neutral french oak then 6 months of barrel aging, with 10% New French Oak. The barrel fermentation adds a lush and creamy mouthfeel to this bright and acid driven Rosé. Aromas of watermelon, strawberry, citrus, pineapple rind, vanilla, rose blossom and flavors cherry, mango, lemon, underripe strawberry, melon, vanilla, clove. Same vineyards as the 2015 version, this years Super Tuscan blend has biodynamic grapes from Grimm's Bluff in Happy Canyon to complete this perennial best seller. We decided to continue using Cabernet Sauvignon as the main blending component to the 62% Sangiovese, and added another Bordeaux varietal Petit Verdot adding depth and structure to this silky elegant wine. We are confident that this wine will continue to set the standard for highest quality Super Tuscan blends in all the world. Aromas of black cherry, black current, raspberries, leather, baking spice, with a flavor profile of bright cherries, under ripe blackberries, followed by dried herbs, toasted coffee bean and a delicate french oak finish. This vintage is the first time we have released "The Baron", a GSM Grenache-Syrah-Mourvèdre blend. Our estate property is now planted to Grenache and Syrah and we look forward to setting a new standard for the quality level of GSM blends in the United States. Baron Le Roy, was a World War I fighter pilot and French war hero. In 1935 he spearheaded the creation of the Appellation d'origine contrôlée (AOC) system that would become the basis of French wine laws and a benchmark for wine regulations around the world. He married the Baroness of Chateau Fortia in the southern Rhone region of France. As the new Proprietor of this historic Chateau, The Baron was known for demanding nothing but the highest quality from his beloved Chateauneuf du Pape exotic red varietals, (Grenache/Syrah/Mourvèdre) and to this day, his standard for excellence for southern Rhone blends is being upheld in the rare microclimates of Santa Barbara County. Aromas of black plums, blackberries, raspberries, leather, peppercorn tree, and smoky oak with a flavor profile of boysenberry, blackberries, followed by dried herbs, baking spices and smoked meats with herbal complexities and a firm tannin backbone from the whole cluster Syrah. Our champion Pinot Noir vineyard of Santa Barbara County, the Duvarita Vineyard site consists of south facing slopes grown in well-drained beach sand soils just 12 miles from the Pacific Ocean. The vines are planted close together and trained low to the ground to protect them from the cool ocean breezes and to reflect heat from the soil. Rigorous farming techniques such as following lunar cycles and integrating native herbs and minerals back into the soil create earthy terroir driven characters and intense flavors to the fruit. Soft sandy soils can be experienced through the silky texture of this opulent yet polished Pinot Noir. Made through a maceration process of 50% whole cluster fermentation, this wine is unique to say the least. 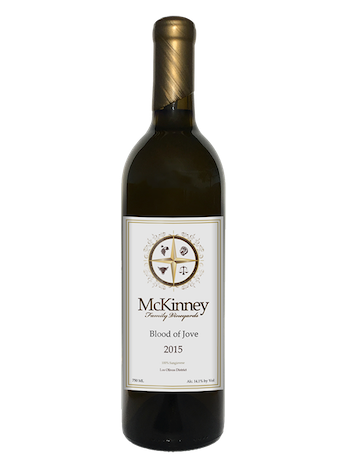 The addition of sweet stems during fermentation add a mint, spearmint leaf herbal complexity, while creating a velvet like tannin feel to accompany the tight/ripe strawberry and cherry aromas. The Presqu’ile winery and vineyard is becoming known for some of the top old world style of Burgundian Pinot in California and we are excited to show off our first vintage from their vineyard. Inspirado, Spanish for the word inspired, was chosen to be the name for my Estate Syrah. This bottle’s story of fruition will always hold a special place in my heart. While I was living and playing professional volleyball in Puerto Rico, I was inspired after making a deal with my dad that if I won the championship that year I would be granted the right to plant a vineyard on our family's property. This Cabernet Sauvignon was made in accordance to our commitment toward crafting elegant fine wine from only the best vineyards in Santa Barbara County. With its dark fruits and silky tannins, this wine exhibits a complex depth which spotlights the potential of the Happy Canyon AVA. 50% from Star Lane Vineyard and 50% from Grimm’s Bluff. Both of which we consider to be the best Cabernet Sauvignon vineyards in all of Santa Barbara County. Approachable now or cellar worthy for decades to come. Aged in 50% new French Oak.